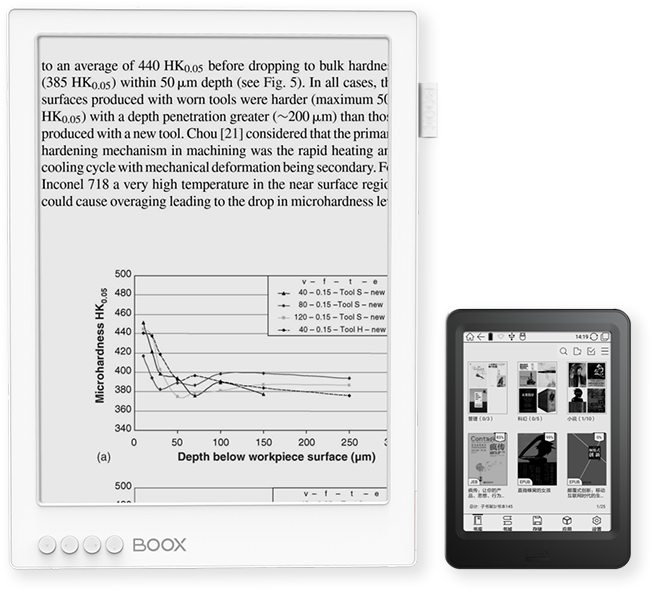 The new model of the electronic book reader ONYX BOOX MAX 2 PRO (Firmware 2.0) with 13.3″ High-resolution E Ink Mobius™ flexible display Sharper and clearer. Max2 Pro is available in white and comes with 4GB RAM and 64GB internal storage. Max2 is in black and comes with 2GB RAM and 32GB internal storage. 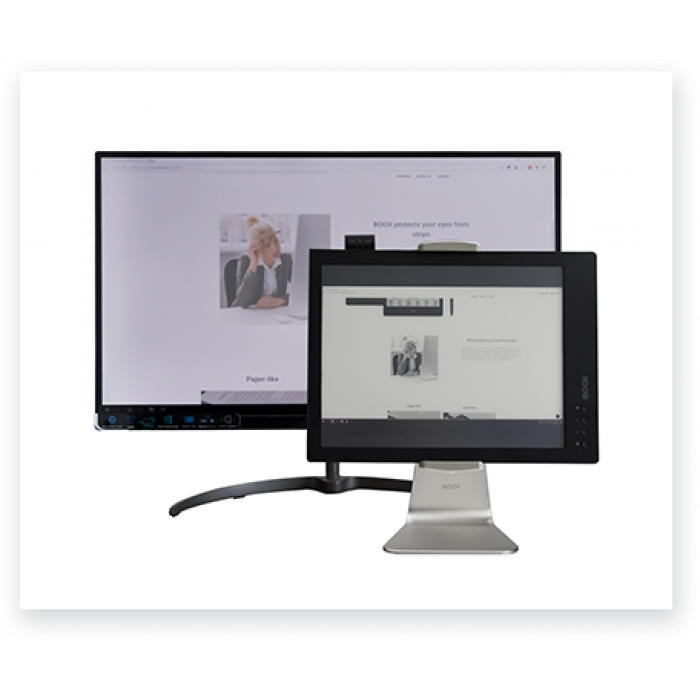 Unlike tablet LCD screen, 13.3” (similar to A4 size) E Ink high-resolution flexible display, best screen size for scanned PDF documents, has no glare, just like reading and writing on real paper. Quad-core processor — faster and more responsive than previous generations. Max 2 PRO screen size is incredibly good for reading large PDF books. No zooming and scrolling needed, it displays the original book size. On Max2 you can enjoy the rich reader features of BOOX eReaders: bookmark, highlight, annotation, scribble notes, reflow, adjust fonts and contrast…and a lore more. 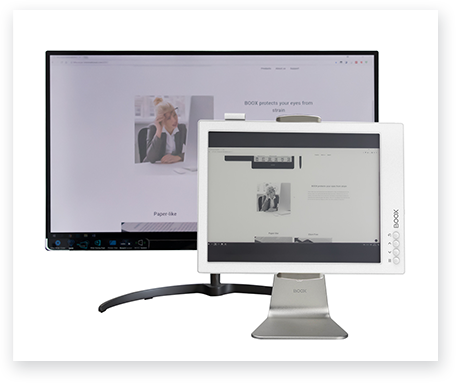 Larger than the iPad Pro screen, a Max 2 PRO screen can be used as a second monitor via HDMI port. No hassling to install any software. One single tap will help you to sync your computer screen to Max2 screen. Treat yourself with some luxurious break from your computer screen that causes you digital eye strain.